What are the Filters in the Group “Extract” for? In Amped FIVE you may have noticed a bunch of filters in the “Extract” category, but their use may not be so obvious like other tools. The general idea is to have all the filters there which try to extract some relevant details from the image, attenuating elements not of interests. In this category there are various edge detection algorithms and other tools which aim to separate different signals which are overlapped in an image. In general thess filters are especially useful for tasks such as document examination, fingerprint analysis and ballistics. 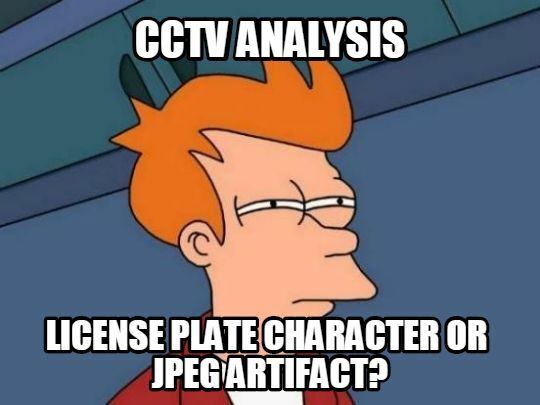 I know most of our users use Amped FIVE for improving license plates and faces from CCTV, but our focus is to give you one complete set of tools for any need related to images and videos during investigations. And we are finding a growing interest in these other tasks which traditionally needed specialized hardware and tools. Users start to see that many times they can get better and easier results by using purpose-built image processing software. When Not to Use Them? In general I think that it’s often dangerous to use edge detection and thresholding filters on license plates. Their effect is somewhat too strong and their usage can sometimes lead to interpret some JPEG artifact as part of a character of a license plate for example. In some cases they have the proper use, but you must be aware of the issues. The negative is one of the simple filters in Amped FIVE. Basically it inverts the colors. What is black becomes white and vice versa. In some cases it is beneficial to use it because the response of a monitor (and of our eye) is different in the dark range with respect to the bright range. 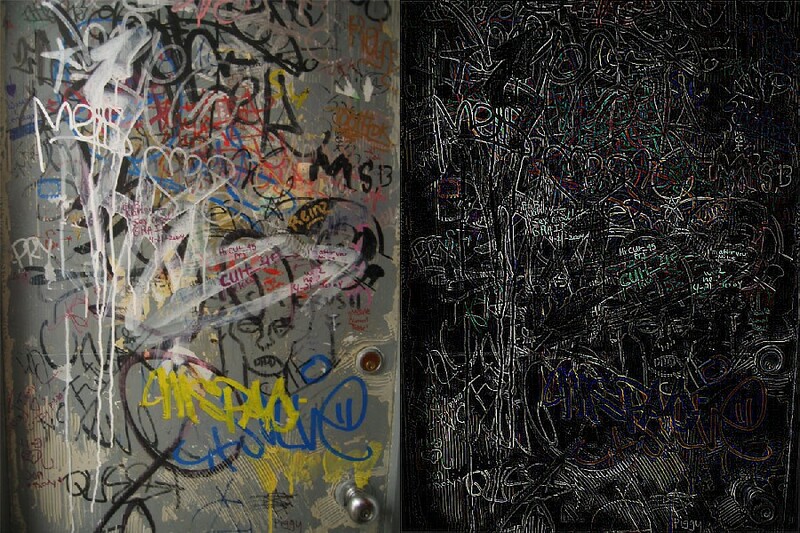 So, even though Negative does not add nor remove anything, it may make the image easier to interpret. Depending on its settings, Threshold puts all pixels outside of a certain range to the maximum or minimum value. It is mostly useful for binarizing an image. These are all different kinds of edge detection filters, they keep in the image only the borders of the shapes, and are useful to extract little details for making comparisons. However, please be aware of the fact that the filter may not be able to distinguish between real details and other high-frequency components such as JPEG artifacts and noise grain. If you are a power user, you may want to have maximum flexibility and customization. These filters allow you to define your own linear (or bilinear) filter and use it to extract edges, denoise pictures or apply any other linear operation you want. These filters allow users to separate different color components or different signals within an image. They use different techniques and are more or less automated, and work in different situations, but actually perform very similar tasks. The can be used, for example to separate a latent fingerprint from the background or to differentiate ink of different colors. Why did we write a blog post dedicated to this topic? One of our users asked us what these filters were for, so we wanted to share with all of you the reply hoping that it could clarify the use of these filters for more people. If you have any topic or issue that you’d like to have covered on this blog, feel free to drop as a mail with your request! This entry was posted in FIVE, How to on May 28, 2015 by Martino Jerian.